Our 4 Gallon tray is the perfect delivery system for your 4 gallon water bottles. The 4 gallon tray is a light weight so it won’t add a lot of additional weight to your cargo load. 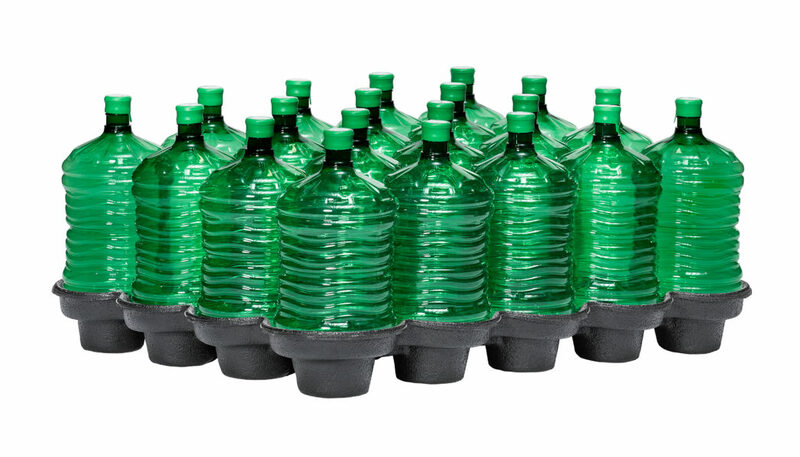 Your 4 gallon bottles won’t slide or slip once there loaded into the tray. The tray can be used with or without a PSI pallet. Start a Live Chat session or contact us for more information.